First you find a box. Then you find a letter. Then you find the letterbox! 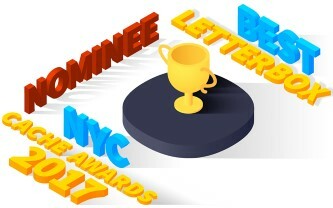 Update: February 2018 - I have been notified by the New York City Geocaching Community this cache has been nominated for Best Letterbox in NYC in 2017!! Step 1: Find the box. At the posted coordinates you will find a blue box. Look inside for the location of the letter. Step 2: Find the letter. The letter will explain how to find the letterbox. Step 3: Find the letterbox. Sign the log book. Stamp the stamp book with your stamp if you have one. Use the stamp in the box to stamp your book. If you do not have a book, I have left some pre-stamped cards behind for you to take. ***Step 4: Please remember to leave the stamp and the inkpad in the box. They are NOT SWAG.